Combine meat and marinade all together in a large bowl and let marinade 10-15 minutes. 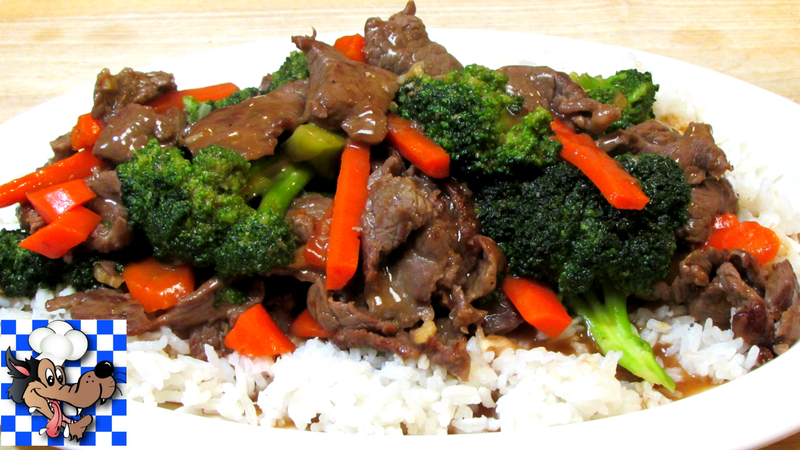 Combine all of the remaining ingredients except (broccoli and carrots) in a large bowl and mix well. Bring 2 quarts of water to a salted water boil in a large pot. Blanch the vegetables in the boiling water for 60 seconds. If you like your vegetables less firm blanch a bit longer. Remove the vegetables from the pot and drain on paper towels. In a wok or large frying pan over high heat add oil and stir fry meat for 2 minutes. Add vegetables and sauce, mix well and bring to a boil. Don't have any word that exactly describe your recipe as "wonderful"! Wow!! Thank you very much I'm glad you gave it a try and enjoyed it! !